When my parents were developing the garden and working it up to produce vegetables on an industrial scale they used to start to plan their holidays around the seasons in the garden so that they would not be away when any particular veg was likely to be cropping, resulting in several tons of valuable fodder going to waste. 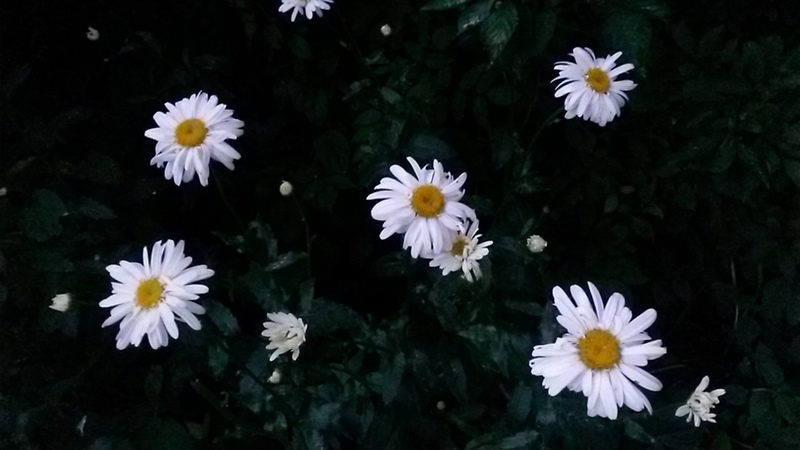 This is a state of mind that I have so far tried to avoid – with spectacular results if last year was anything to go by, as I spent most of July and August abroad, and the garden did its best to return to wilderness in my absence. I did not learn my lesson this year: at the start of July we decided to jet off to Cyprus – to the villa owned by my favourite brother-in-law. The mangetout and sugar snap peas were peaking and by the time we returned the brief season was over apart from some very bumpy mangetout in amongst the weeds. But I am pleased to say that my attempt at succession planting seems to have, well, succeeded so the later wave has enabled us to harvest plenty of peas over the last week or two. By now though, they are beginning to gain the size and consistency of marbles. Other stuff has happened to be ready to harvest while we were around, such as the shallots and garlic. 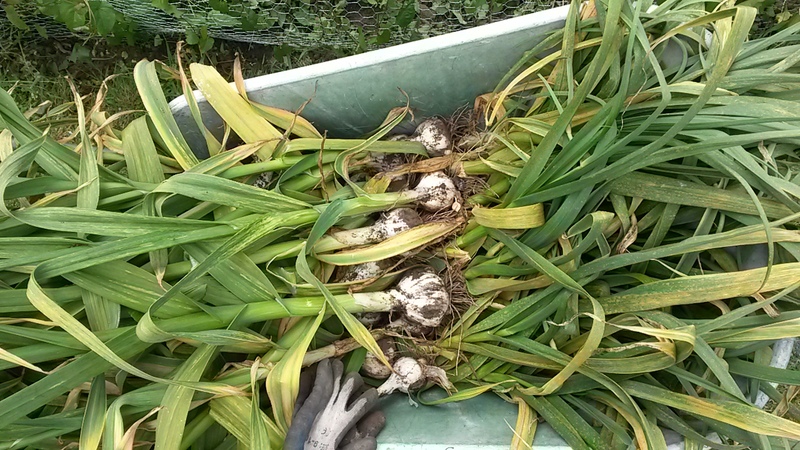 The shallots are fab and some of the garlic has been awesome – such as the Early Purple Wight and the Elephant Garlic. The Lautrec Wight gave us smaller bulbs, but that might be something to do with it being a hard neck variety. 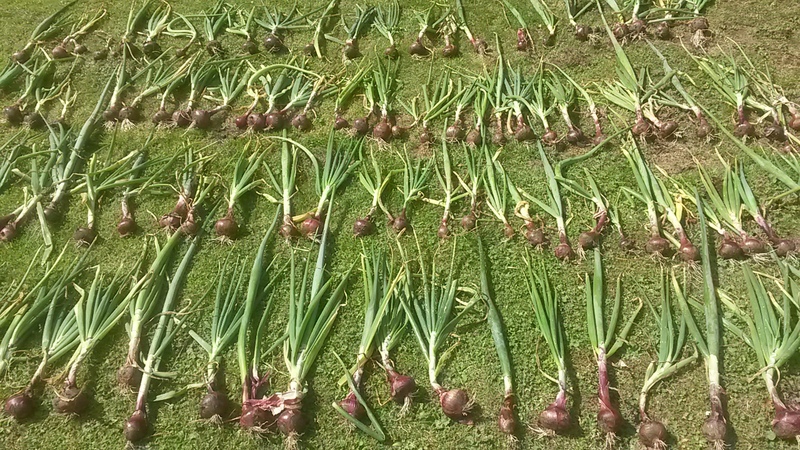 I have also gathered my onions in as the tops of some of them had “fallen” over so I thought I’d dig them all up. That might have been a trifle premature, but as the whole onion patch (along with the rest of the veg patch) was totally overrun with mature weeds, it was a bit difficult to to find the onions, let alone get an accurate estimate of their maturity. I’m letting them dry a little before I store them. On the upside, as they say stateside, ten days in Cyprus appears to have been the miracle cure for my back. I still don’t know the extent of the damage as I had an MRI on 16th July but am still awaiting the results. 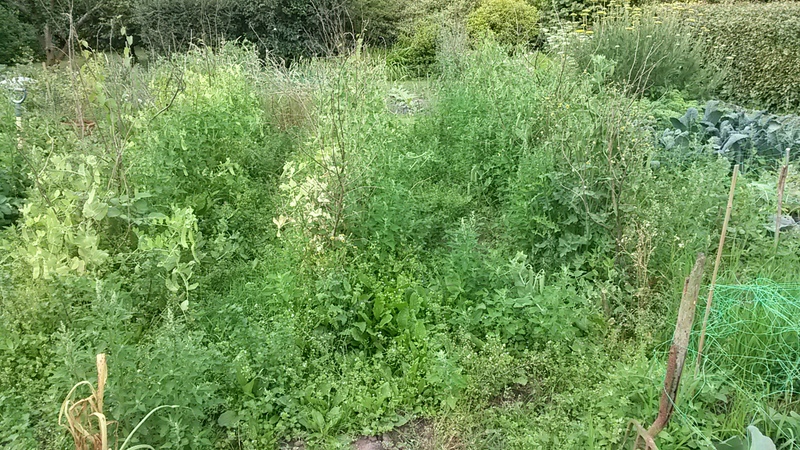 But at least my vertebral column no longer feels as precarious as the piles of crockery in the Sword in the Stone kitchen scene so I have set to and cleared much of the undergrowth. I now have plenty of fresh soil to cultivate. I can get back to the fun stuff now, planting and all that. The leeks have gone in (finally – don’t know how they survived so long in a seed tray) and we will get some biannual flowers sorted too. But there does suddenly seem to be a lot of spare garden and I have an overwhelming urge to plant. This entry was posted in Gardening Times and tagged Elephant garlic, garlic, lautrec wight, mangetout, Onions, peas, purple wight, sciatica, sugar snaps, sword in the stone. Bookmark the permalink.